But let me share something with you. I’m on the other side of it! I’m not saying that to brag. Or to make you feel bad. I’m telling you so you know – there is an end in sight. You will not potty train forever. I promise. 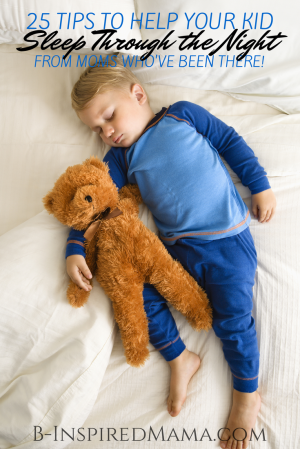 Potty training can be scary and frustrating and exhausting and brutal. But it doesn’t last forever. And I’m proof! I have officially potty trained all three of my kids. And – inspired by B-Inspired Mama sponsor, CVS Training Pants – I want to share with you what made it easier. Your Understanding of Your Child & Yourself – Honestly, the only “must-have” on this list is this one thing. Your own understanding of your child and yourself. Your child was made just for you and you made just for her. Use that special connection and intuition to guide you through the potty training process. You will know which out of the following list would motivate your child. You will know when something just isn’t working. Don’t fight your intuition. Just do what feels right. Praise, High Fives, & Hugs – Okay, this might be a “must-have”, too. Praise, high fives, & hugs were all great motivation for my kids. (Not quite all they needed to be motivated, though…) But hugs were important, too, when they had accidents and setbacks. Was I always that perfectly calm mama when I stepped in pee on my floor? NO. But even if I became frustrated, I ended things with a hug. Stickers & Tattoos – I used stickers as motivation for all three of my kids. I rarely had a fancy chart. Sometimes just a blank sheet of paper. Or maybe one with a squiggly road scribbled on. But my kids loved seeing their potty successes add up in the form of stickers. And getting a temporary tattoo after so many stickers was always a fun (and inexpensive!) reward, too. Disposable Training Pants – Yep; each of my three kiddos used training pants. One pretty much only used them for outings for a few weeks. The other only for bedtime for a couple months. And another child used them for nearly six months while we were taking the laid back potty training approach. I found CVS Training Pants to be a great option. 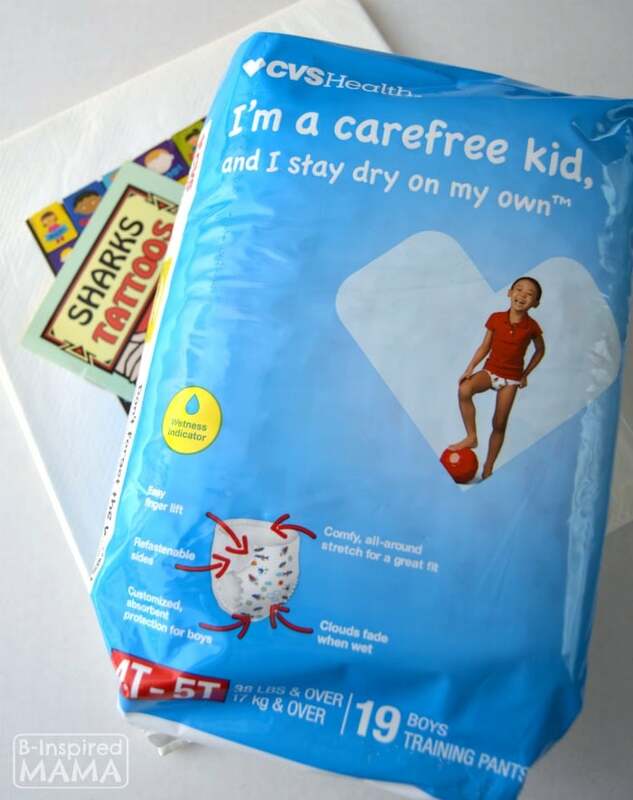 They have an all-around stretch and refastenable sides that worked great for my many sized potty training kids! And the wetness indicator that fades when wet made it easy to see when a kid had an accident. 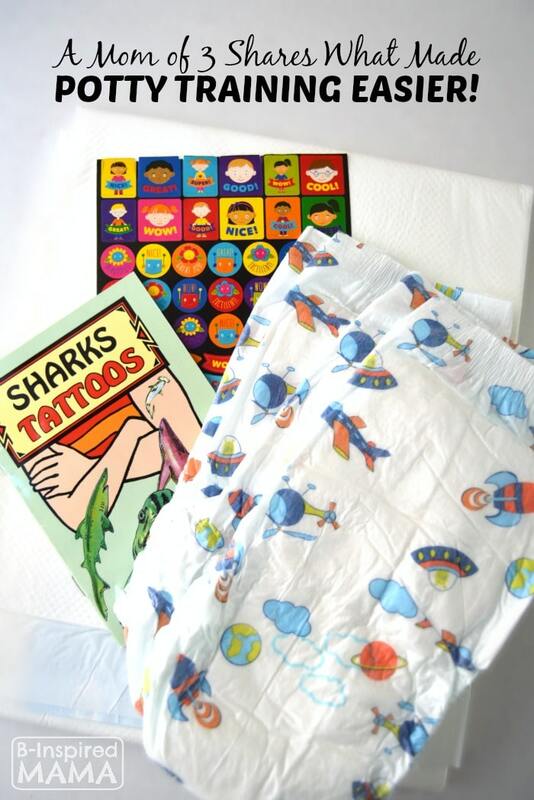 Disposable Bed Mats (Not Just for Beds) – I’ve used these sticky-backed disposable but absorbent mats for the kids’ beds when they are night training. 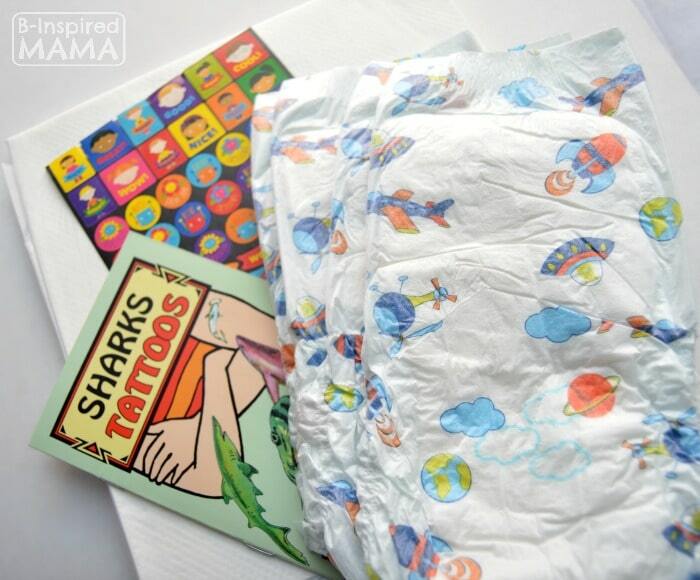 They’re a life saver for your child’s sheets and mattress. And a life saver for a tired mama who doesn’t want to change a whole bed in the middle of the night. But here’s another way I used them… on my furniture when my kids are newly potty training! My kids knew for those first couple days, they could only sit on their special spot on the couch. Paper Towels & Cleaning Wipes – I know, I know. All these disposable product. But just give yourself a break while you’re potty training. Really. Have lots of paper towels and cleaning wipes on hand during those early days especially. A Clear View of Every Public Restroom – When your kiddo starts to go out and about with you in her new dry underpants, you’ll quickly learn where every store and restaurant’s restroom is. It’ll be (or should be if you remember – been there, done that!) your first stop. Of course, if your little one isn’t quite ready for accident-free errands yet, you can use CVS Training Pants while away from home. Patience – You’ll obviously need patience for your child who’s learning something new and bound to have accidents. But have patience with the process as a whole, too. It might not probably won’t go exactly as you expect. And that’s okay! Just remember: it won’t last forever. Let’s talk. Where are you at in the potty training journey? What challenges are you facing? Join the conversation in the comments below! This is a sponsored post written by me on behalf of CVS Training Pants. However all opinions are authentic and my own. Please see my disclosure policy. These are great tips. I love that you took more of a laid back approach and recommend listening to your instincts. Seems the train your child in three days method has gotten really popular. I’m sure it’s a great method, it’s just never worked for us. It seems the more relaxed we are, the more responsive our kids have been. YES! I’ve never had any “luck” with any method that gives a timeline. My kids each chose their own timelines. And they were each very different. And more than 3 days! Thanks for stopping by and for your encouragement!